Because of our long company history, our strong work philosophy, and free estimates. And most of all... What our landscape client testimonials say about us. Allscape has published many landscaping articles that help home owners make better decision. They can be found on Allscape's design website or click Illinois Landscaping Aticles to learm more. If you are dragging hoses around your property, you need a lawn sprinkler system. If your lawn and planting beds don’t look quite as good as your neighbors, you need an irrigation system. A Lawn sprinkler system will add value to your property. Studies show that well landscaped homes with irrigation systems sold for up to 15% more than similar homes without a sprinkler system. Irrigation systems add beauty to your home by keeping your lawn and plantings looking there best. Underground sprinkler systems can also fertilize and do pest control for your property at the same time it is watering your property. We can complete most jobs in one day. When we finish there won’t be any trenches, or berms, just level ground with new sod or seed. Please take a moment to view our Landscape Design Gallery on our landscape design website. We have 900 satisfied customers in Northern Illinois.When you invest in an Allscape Lawn Sprinkler, Irrigation System, or low voltage Landscape Lighting Comapny in Illinoislighting system; you know that the actual president of the company (Nick Boyle) has designed it, installed it, and guarantees your satisfaction. When you call Allscape for service of any kind you will be talking to the president not a secretary or an employee. We are referred by the better business bureau where we have an A+ rating. We have highly trained and experienced personnel who all speak perfect English and understand customer satisfaction is paramount. 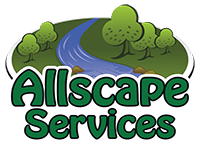 All work done by Allscape comes with a 5 year parts and labor guarantee. We are licensed, certified, bonded, and insured. Our service techs are knowledgeable about anything on your property, not just one Illinois Lawn Sprinkler Comapnyspecific thing. This comes in handy; so often you call a company to repair one thing and they damage the dog fence, sprinkler system, lighting systems, hardscape, planting beds, drain tile, water features, etc. Allscape service techs are cross trained to handle all of this and more. The end result is a completed job with no negative repercussions or secondary bills. One simple rule. Treat customers as you would want to be treated as a customer. And we always guarantee customer satisfaction!